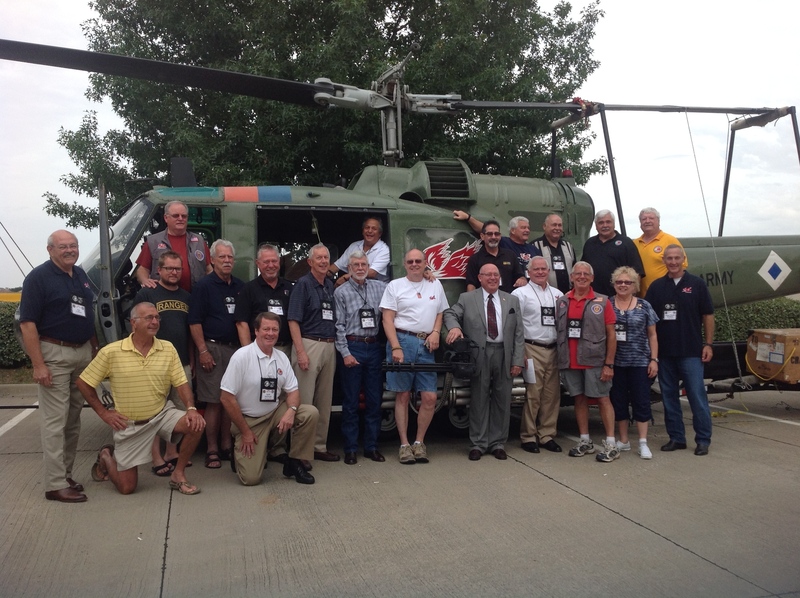 I just returned from the 2014 reunion of Vietnam’s finest, the Rattlers and Firebirds of the 501st Aviation Battalion and 71st Assault Helicopter Company. This year’s reunion was in Fort Worth, Texas. It’s always great to visit, in person with my brother’s comrades, who are now my friends. This great group of Firebirds here have taken me under their wings. Just being around them brings my brother alive again. Not that he’s that far away from my heart every day, these men, his friends and comrades, keep the memories alive. Each reunion we lose a few more of these gentle, yet brave, courageous men. The tolls of war linger in their minds. The years of pain, mental and physical just seem to disappear for a few days when they gather. The tales are told. The tears fall. The laughter is sweet medicine. The brotherhood is unbreakable. This year, I had the fortune to meet up with my cousin, Ab Crosby, who was visiting his son in the Fort Worth area. Ab brought his son, and grandchildren to see the helicopters and all the memorabilia the Association brings to the reunion. It’s an awesome display. When one gets to the helicopters, they see just what Herby, Capt. Crosby, my brother and his crew were flying the day they were lost forever to this earth. It’s amazing how anyone survived the brutal combat of war. The reunion will most likely be at the same location in 2016. Hope you can come visit these men and grasp a bit of history while there. I have been blessed to know these fine warriors. Thank you Rattlers and Firebirds! This entry was posted in Rattlers and Firebirds and tagged Captain Herbert C Crosby, Firebirds, Rattler Firebird Reunion 2014, Vietnam. Bookmark the permalink.